Blocked Drain Clearance Services from Just £70 – NO VAT! If your drains are blocked and you need a drain clearance service in Plymouth then look no further than Just Rods. We will take care of any drain blockage whether your drains are overflowing or just smelling a bit ‘off’. Using modern technology we will identify the causes of your blocked drain and begin our drain clearance process with courtesy and professionalism. 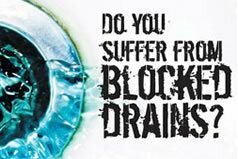 Unblock Blocked Drains – Emergency? Just Rods are able to respond to your drain clearance emergencies 24/7! We guarantee all of our work and our prices are fixed to help give you peace of mind! Just Rods will always give you and your property the utmost respect while carrying out drain clearance!